Chop all ingredients and lay them out assembly line style. Dampen a dish towel on which you can lay the rice paper and prepare the roll. 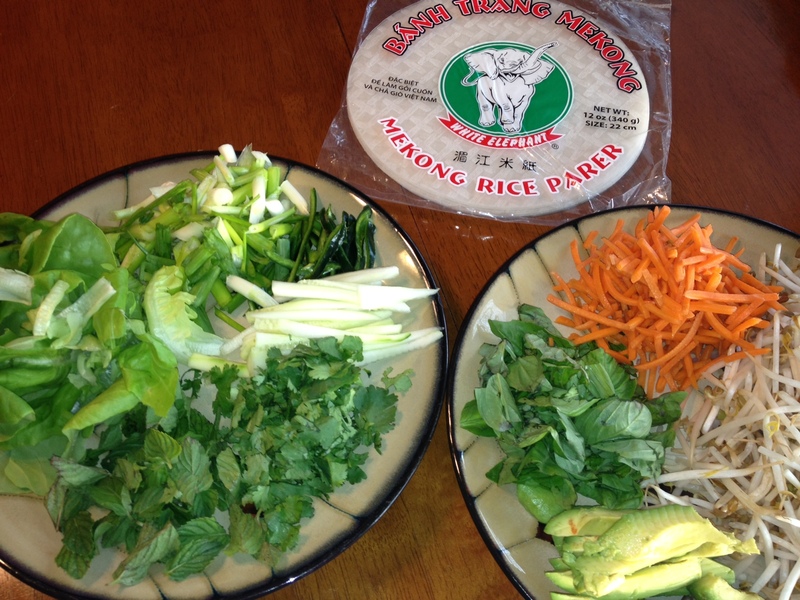 Prepare rice paper according to directions, stuff and roll.